Microorganisms capable of actively solubilising and precipitating gold appear to play a larger role in the environmental cycling of gold than previously believed. 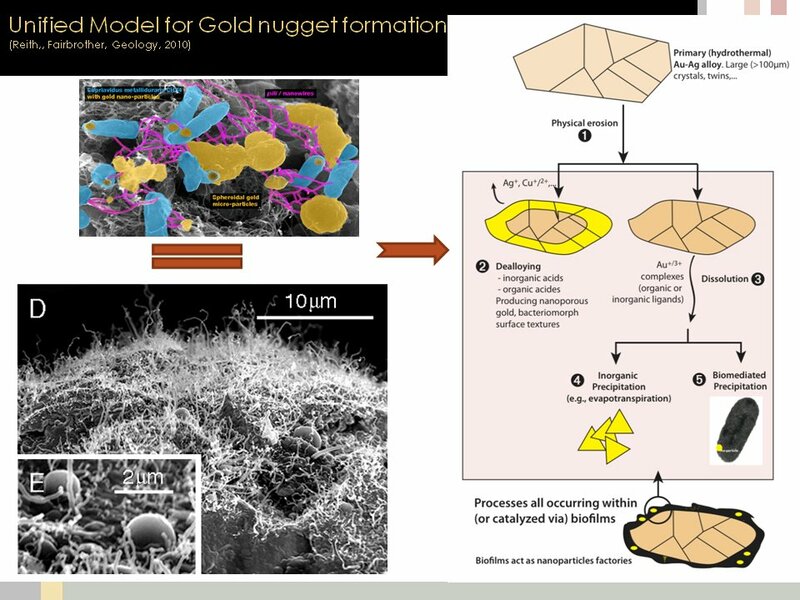 Recent research suggests that bacteria and archaea are involved in every step of a biogeochemical cycle of gold, from the formation of primary mineralisation in hydrothermal systems to its solubilisation, dispersion, and re-concentration as secondary gold under supergene conditions. 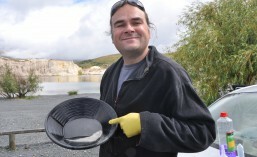 The enzymatically catalysed precipitation of gold has been observed in thermophilic and hyperthermophilic bacteria and archaea (e.g., Thermotoga maritime, Pyrobaculum islandicum), and their activity led to the formation of gold- and silver bearing sinters in New Zealand’ hot spring systems. Iron and sulphur oxidising bacteria (e.g., Acidothiobacillus ferrooxidans, A. thiooxidans) are known to breakdown gold-hosting sulfide minerals and release associated gold in the process. These and other bacteria (e.g., actinobacteria) produce thiosulfate, which is known to oxidise gold and form stable, transportable complexes. Other microbial processes, e.g., excretion of amino acids and cyanide production by Pseudomonas spp. and Chromobacterium violacaeum, may control gold solubilisation in auriferous soils. In a recent study up to 80 wt% of gold was solubilised by resident microbiota in biologically active soil microcosms, compared to negligible solubilisation in sterile controls. A number of bacteria and archaea are capable of actively catalysing the precipitation of toxic gold(I/III)-complexes. 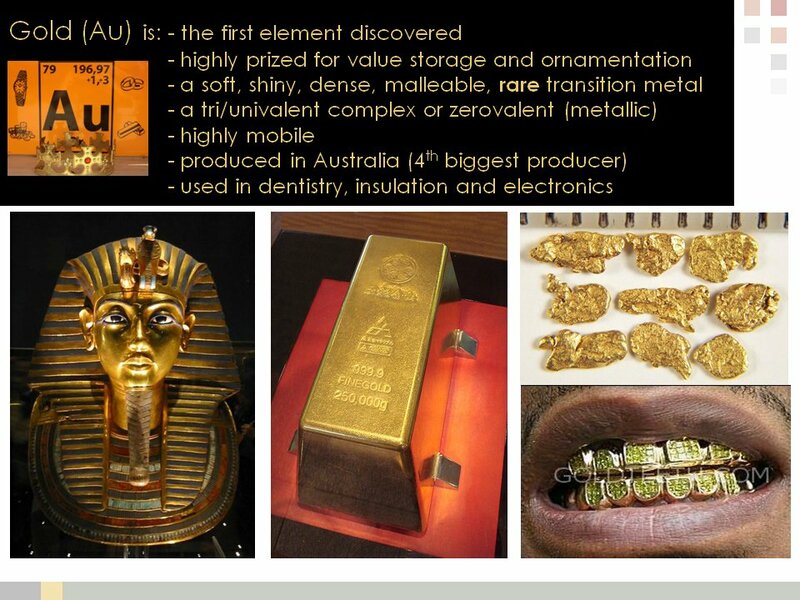 Gold bioaccumulation may improve survival rates of bacteria that are capable of: (i) using gold as metal centre in enzymes (Micrococcus luteus); (ii) gaining energy by utilising gold complexing ligands such as thiosulphate (e.g., A. ferrooxidans); or (iii) detoxifying the immediate cell environment by detecting, excreting and reducing gold complexes using efflux pumps or membrane vesicles (e.g., Salmonella enterica; Cupriavidus metallidurans, Plectonema boryanum).C. metallidurans containing biofilms were detected on gold grains from two Australian sites, indicating that gold bioaccumulation may lead to gold biomineralisation by forming ‘bacterioform’ gold that can be detected on secondary gold grains from many sites. Formation of secondary octahedral gold crystals from gold(III)-chloride solution, was promoted by the cyanobacterium (P. boryanum) via an amorphous gold(I)-sulphide intermediate. ‘Bacterioform’ gold and secondary gold crystals are common in quartz pebble conglomerates (QPC), where they are often associated with bituminous organic matter possibly derived from cyanobacteria. 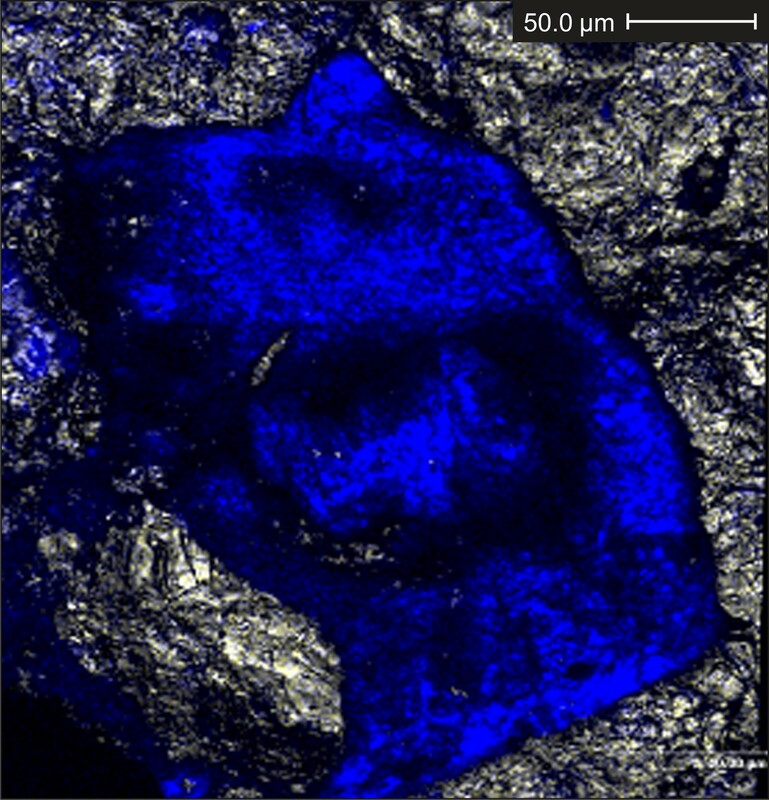 This may suggest that (cyano)bacteria may have played a role in the formation of the Witwatersrand QPC, the world’s largest gold deposit. 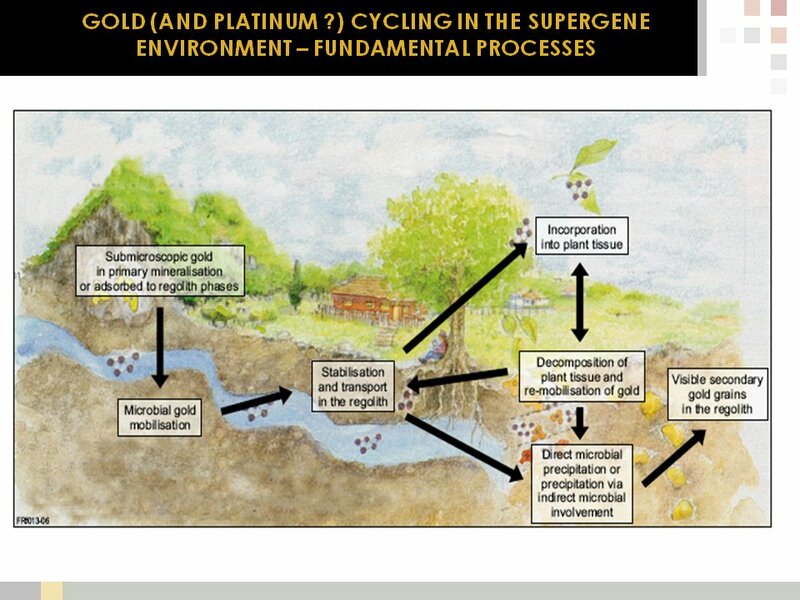 Reference: Reith F, Lengke MF, Falconer D, Craw D, Southam G (2007) Winogradski Review – The geomicrobiology of gold. ISME Journal 1, 567-584.